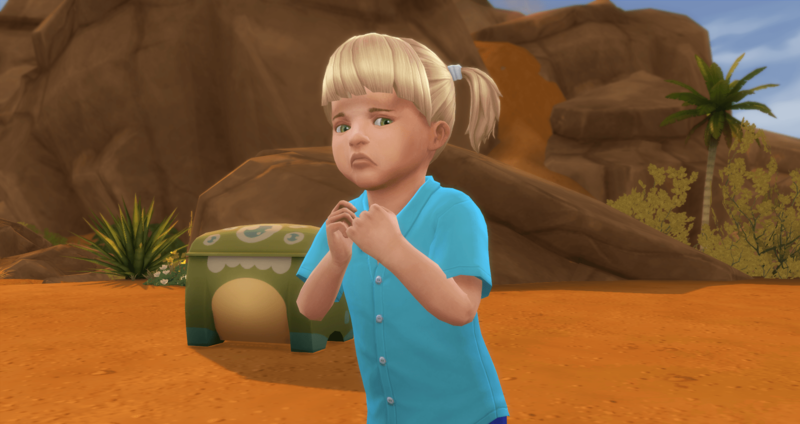 The toddler mania challenge has always been one of my favorites. 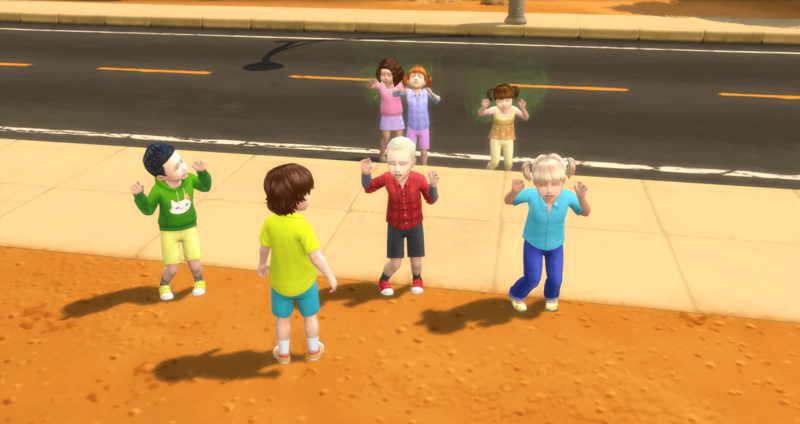 I love the chaos that comes from lots of toddlers. 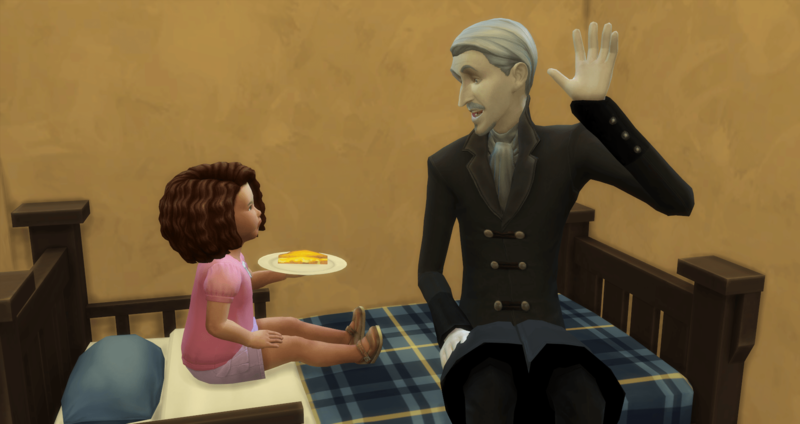 Now that we have toddlers in Sims 4, it is time to seriously work on completing the challenge one more time. Snow White must become good friends with all of the dwarves before they become children. All dwarves must be protected so that they are not snatched away by the evil. Snow must also get all dwarves to level 3 in potty skill. You may not use any cheats. 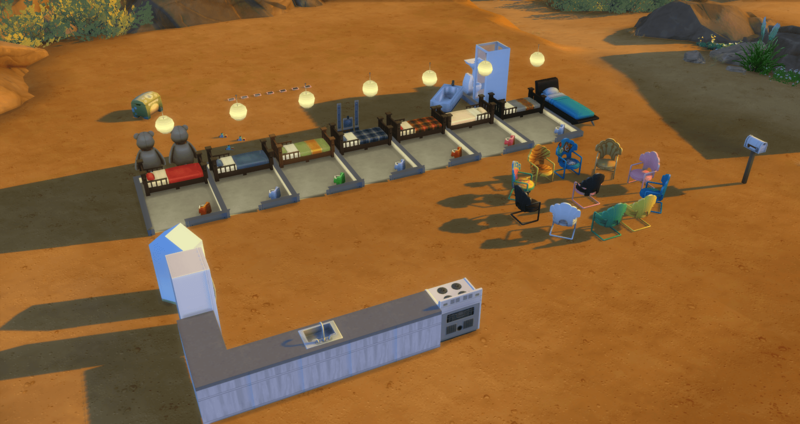 You may use any of the service Sims you can afford. You may not get a job that takes you away from the home/neighborhood. 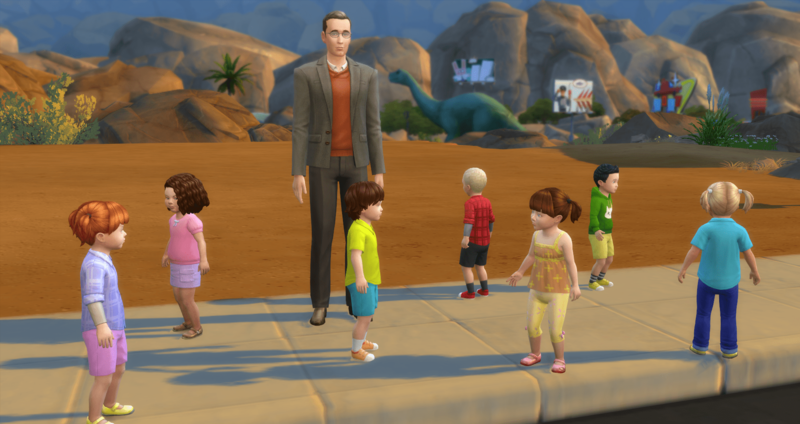 You may choose any Lot Traits that you want to. +1 for each skill level a dwarf earns in each category. +10 for each dwarf your Snow White becomes ‘Good Friends’. +1 for each dwarf that ages successful into a child. – 20 for each dwarf that is snatched by the evil. Our conscripted young adult will be Rupert Giles. Yep, we are going to go Buffy with this challenge. Rupert is Good, Cheerful, and Family Oriented. 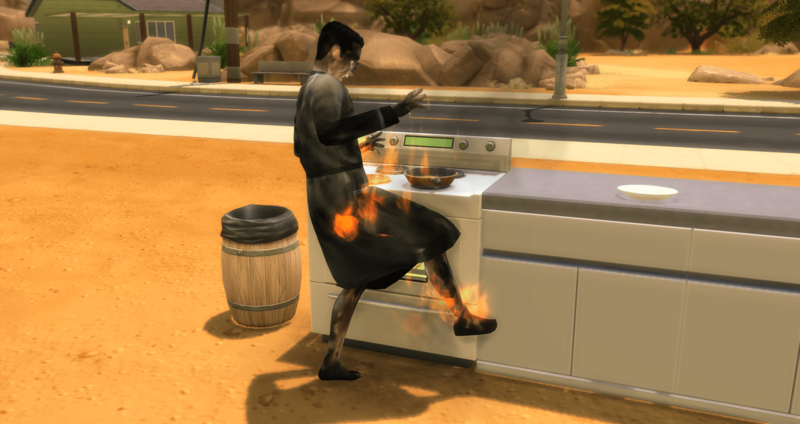 (His traits were changed because the first attempt crashed and burned). He will be working on Big Happy Family, but I do not have any misconceptions that he will be successful. He should be able to complete both of the first two milestones by the time the challenge has ended. Or, he might just survive. 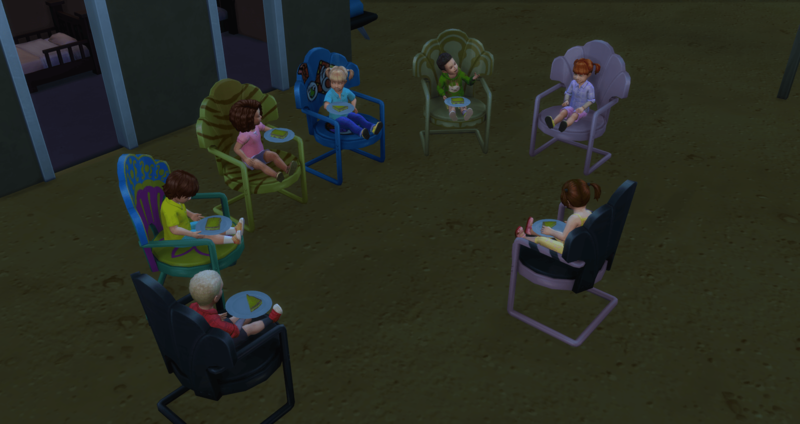 For the seven toddlers I will be using all traits except Angelic. Since I don’t like to build houses, and it shows. 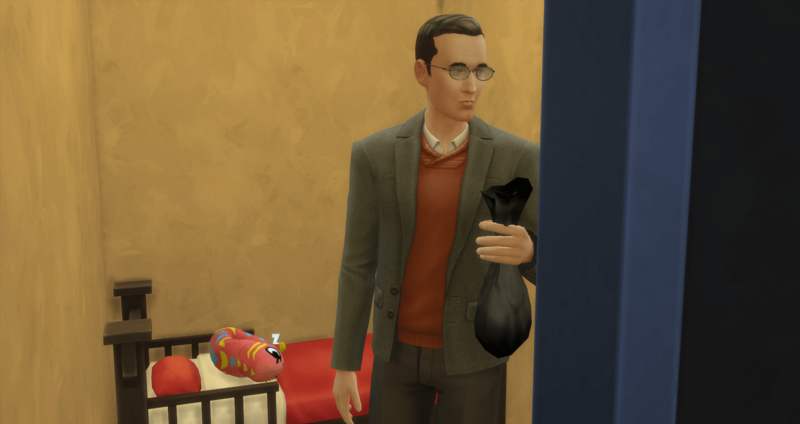 And, here we go… the first mission is to get all of the toddlers to level 2 in potty. Buffy works on training herself while Rupert starts with Spike. Once Spike is level 2, Rupert heads into the “kitchen” to cook a meal. He makes grilled cheese and then attempts Pan De Muerto. 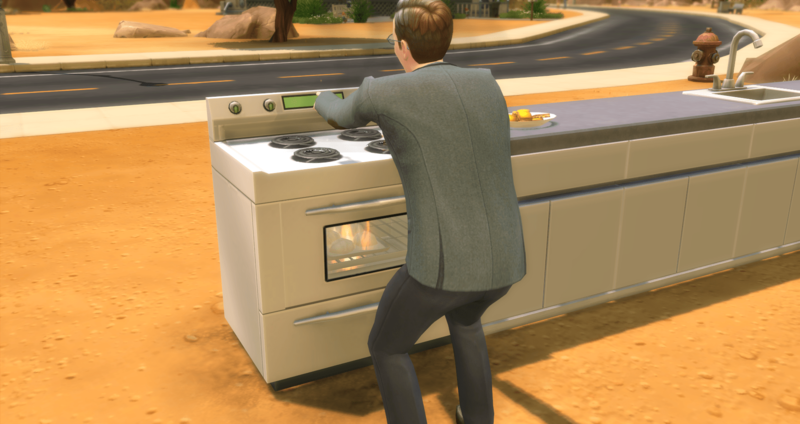 Which sets the oven on fire. Thanks Giles. 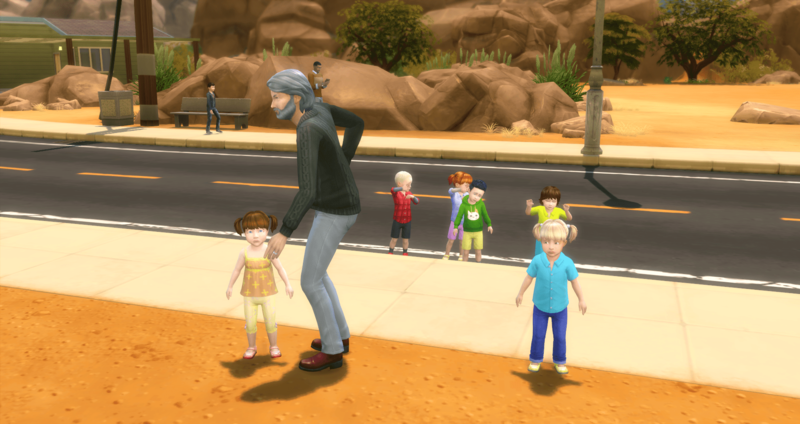 The toddlers and the guests all run to safety while Giles handles the fire. Cordelia waits in the back for someone to come carry her to safety. That never happened. And 24 hours have been successfully survived. Everyone is asleep for the moment. 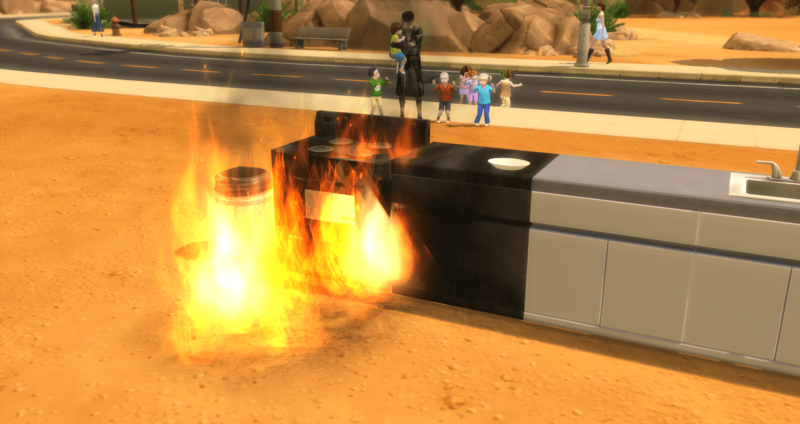 And Giles sets the stove on fire, again. And now the ground is on fire. 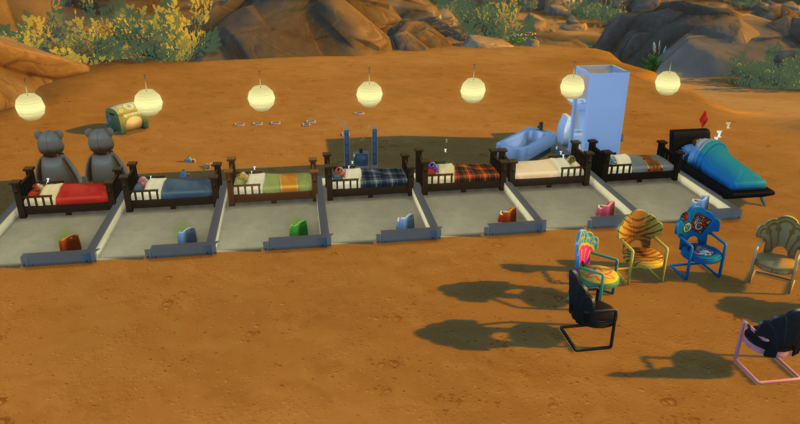 This is going to make the toddlers so happy once again. 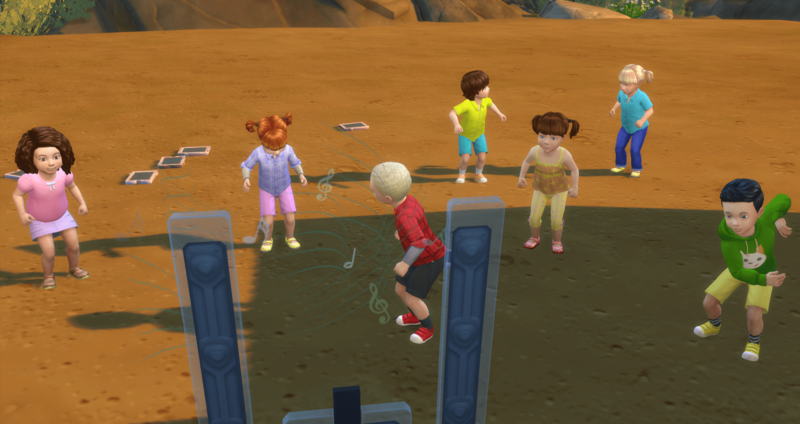 Finally a moment of peace, which means Giles gets to clean potties. Updated skill count… (it will be updated periodically – current update is from Thursday morning).